True is a very busy girl. As the guardian of Rainbow Kingdom, she cares a lot about her community. In fact, her community depends on her to use her problem-solving powers to keep everything whimsical and carefree. And while she likes to relax and play like every other little girl, she always notices when things are going awry! She has her resources. For instance, her friend, Bartelby the cat, almost always travels with her. And then there are the wishes. Yes, other shows have endless wishes but the rainbow kingdom is always teaching responsibility. First, True rides a cloud to the wishing tree. Then, her friend Zee who works there sits her down and they talk about the issue. And finally, she has to learn about the wish before letting it's power loose. Now that's what we call being careful what you wish for! When it comes to channeling a character from television, you couldn't ask for any better character than little True. 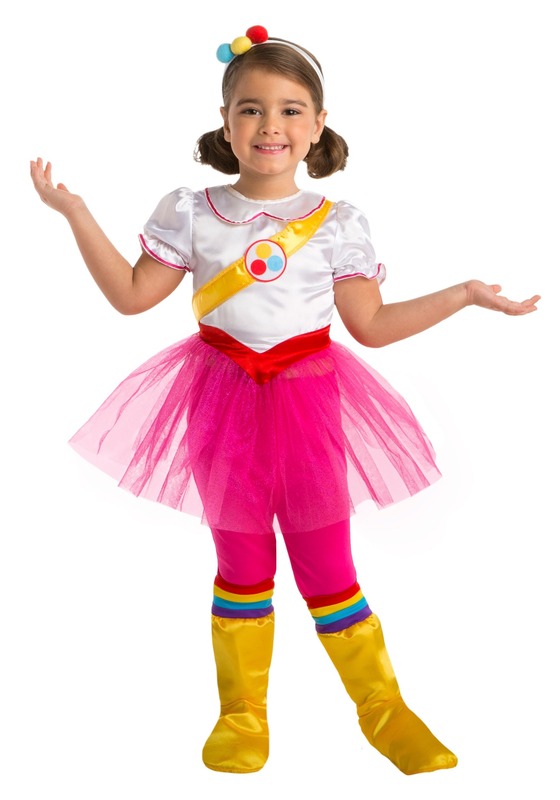 This licensed costume is designed after True from the preschool-oriented Netflix show, True and the Magic Kingdom. The outfit has a shiny, satin top with a yellow band across the chest. The top has an adorable peter pan collar and a ruffle under the puffed sleeves. The waist has a point in the red satin band with a fluffy tool skirt. She'll love that the satiny yellow boot polishes off the ensemble. Want to finish the look? Look into adding the blue wig onto your order. Once she puts on this ensemble, she'll be ready to go on a colorful adventure. This hilarious show teaches mindfulness, empathy, and reason but in an imaginative way. So, whether she's dressing up for a birthday party or for trick-or-treating, you're sure to be glad she's chosen True!